We can all remember a time when we’ve been told, “you are what you eat”. Perhaps recited to make you eat more green vegetables or to finish that family dinner. Your health is a direct reflection of what you eat, with this saying being used to drill in that good quality, naturally grown food is vital for good health. It’s not easy to follow this advice and it’s likely that cakes, chocolate bars, and junk food have snuck into your daily food pyramid over the years. When you are healthy, it’s reflected across your appearance.You’ll receive compliments on your appearance, vitality, and countless other positive attributes that great well being reflects. When you eat a balanced diet, you absorb the right levels of vitamins and minerals that allow your body to thrive. nutritional absorption. This can lead to health problems and a feeling of fatigue. 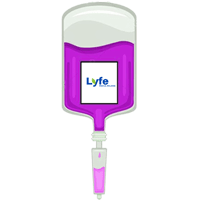 Our medical team has designed a range of intravenous (IV) therapies created to supplement your current health goals, as well as boost your vitamin and mineral levels.Vitamin IV therapy allows for quick absorption into your body and cells, returning energy and allowing you to lead a healthier life. 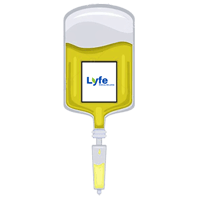 At Lyfe Medical Wellness, we’ve worked hard to create the right balance of the very best vitamins, minerals, and antioxidants in a variety of formulas. 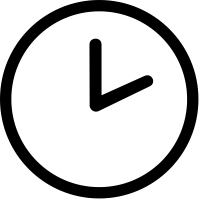 This includes our basic packages, our optimal fitness performance therapy, and even a great vitamin enhancer for anti-aging and rejuvenation. Before your first appointment, you’ll meet with our experienced doctor to discuss the best vitamin IV therapy, including customized formulas, to meet your healthcare need. Are you ready for a wellness boost? This formula is designed to help you bounce back from low energy and fatigue. It’s also a beneficial blend of vitamins and minerals to assist in relieving anxiety, depression and sleep disorders. This formula can help with recuperation from acute asthma attacks, upper respiratory tract infections, chronic sinus infections, seasonal allergies, migraine headaches, muscle spasms, and menstrual cramps. For fabulous and radiant skin, our high-dose antioxidant formula not only slows the rate of free radicals in your body, but it also raises your collagen levels. You’ll receive amino acids included in this Beauty Booster recipe, assisting with delivering younger-looking, more luminous skin. This is the perfect package if you’re focusing on anti-aging and rejuvenation. 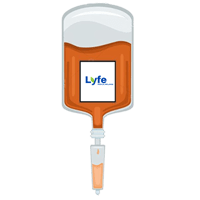 If you’re working hard during your exercise routines, this Fitness Booster vitamin IV therapy is going to support your performance and stamina, as well as help you build muscle. As a bonus, the highly active amino acids assist in improving your mood, strengthening your immune system, and sharpening your brain and mental clarity. If you’re looking for a first-class energy injection, our Premium Performance Booster delivers. 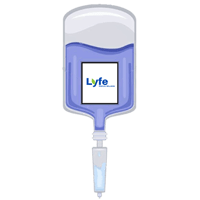 With its comprehensive ingredient list, this vitamin IV therapy will help improve thyroid functionality, provide an immune boost, balance hormones, as well as assisting in detoxification. This formula begins a process of DNA repair, a helpful tool to fight against degenerative diseases and aging. 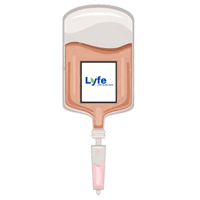 The main function of your liver is to filter the blood and place it through a process of detoxification to enhance your body’s performance. A compromised liver can create a build-up of toxins, weakening the body. 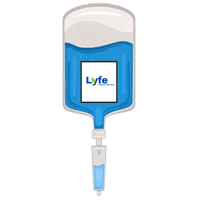 This is where the Lyfe Medical Wellness Premium Liver Detoxification comes in. With two-step targeted formula, it works to remove toxins from the body’s storage (phase 1), before stimulating the metabolization and removal or them (phase 2). Heavy metals can wreak havoc on your body, creating imbalances that can lead to chronic disease. Symptoms of heavy metal toxicity include brain fog, autoimmune diseases, joint and muscle pain, mood swings and depression, as well as chronic fatigue syndrome. This important detoxification formula will remove these toxins, allowing for improvements in your cognition, heart health, as well as lowering the risk of cancer. For a powerful healing treatment, consider ozone therapy. Effective in strengthening the immune system, killing bacteria and viruses on contact, and reducing inflammation and acidity in the body, it’s grown in popularity as a supportive therapy against a range of diseases, including cancer. For more chronic conditions, or for those requiring a more powerful boost, the higher-grade formula in this package delivers multi-vitamins and antioxidants in the quickest manner possible. Our Energy Booster Premium is optimal for a range of conditions, including chronic fatigue symptoms, fibromyalgia, painful menstrual cramps, and migraine headaches. A little too much indulgence on a night out drinking can cause dehydration, mineral and vitamin losses, as well as liver inflammation, leaving you feeling miserable. Our hangover formula has been designed to rehydrate and provide a vitamin boost to assist in a quick recovery. Combining a nutrient formula and antioxidants for alcohol detoxification, this is the quickest method to return energy and vitality across your body, allowing you to continue on with your day.